Disable label printing in Woocommerce FedEx plugin and use Live Rates. I want to use the FedEx plugin only for returning real-time rates, and would like to disable label printing option. Can you explain the procedure to configure the plugin for returning real time rates and turning off label printing option? It’s very easy to configure our plugin and get FedEx real-time rates on your website. Please refer the setup article- https://www.pluginhive.com/knowledge-base/setting-woocommerce-fedex-shipping-plugin/. 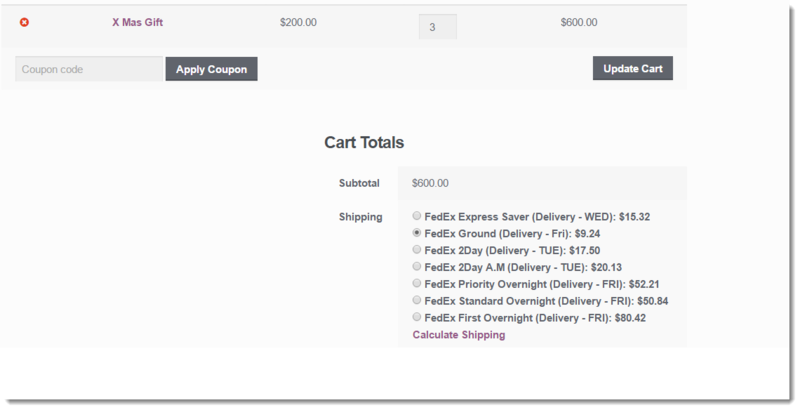 Once you set up the plugin successfully, add an item in the cart, the FedEx rates will show up on the cart page. The print label is not a mandatory feature. When you go to the order page, you will see a FedEx box with Create Shipment option. The label is only generated when you click on create shipment button. If you do not want the FedEx box on the order page, kindly uncheck the FedEx option from Screen Options (it appears at the top right corner).